Table Tennis requires the use of a ball, a few rackets, a net, a table and perhaps, some cleaning accessories for a successful game. There are different types of each due to many manufacturers to suit the skill and preference of the players. Finding the one that is best for you could help you with your game and allow you to become better. Cleaning the equipment surrounding table tennis is relatively simple and will help keep them in a better condition for longer usage time. There is a variety of cleaning products, instruments, and tips used to keep everything clean and properly cared for. Balls should be kept clean and stored somewhere cool and dry when they are not being used. Rackets, depending on their unique qualities, will require different products. When a certain spray is applied to inverted rubbers, it can be easily cleaned of grease and dirt with a sponge that will just wipe it off. 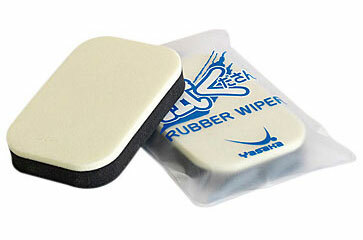 Pimpled rubbers have their own scrub brush to keep them clean. Rubber adhesives are used to glue the rubbers back onto a blade. The fresher the glue is, the more flexible and elastic the rubber will be. There is also edging tape that can be used to wrap the edges of the paddle to protect it from damage and dents and to keep the rubber from detaching from the blade. After using the paddle, wrap it up with a plastic bag and place it in a protective container. The table can be cleaned with a sponge dampened with water to wipe off the dust and dirt. Edge tape can protect the table edges from dents and other unfortunate damages. Try to avoid placing objects on the table and keep it inside because excessive moisture outdoors could warp the table and then the surface will never be flat again. The net can be kept in shape if it is stored when not in use or kept away from areas where there is a lot of movement. Here is a list of table tennis cleaning kits that I would like to share with you all. This is a very good foam for you to use to clean your rubber after playing the game. After using this kit, you need to ensure that you dry the sponge after use. This is an environmentally friendly foam cleaner that you can use to clean your rubber. It is good to be used for looping rubbers but not non-looping rubbers. The kit does not come with a sponge, you need to buy the sponge separately. You can use it to wipe off the foam from the rubber with a sponge and also you need to ensure that you wipe off the soapy residue to have the rubber completely clean. You can use this cleaner to clean any rubber sheets and even rejuvenates the old rubbers. You can easily clean your rubber with this cleaner on your hand. It can clean the rubber and make it looks like brand new. Besides, it is also very fast to dry. 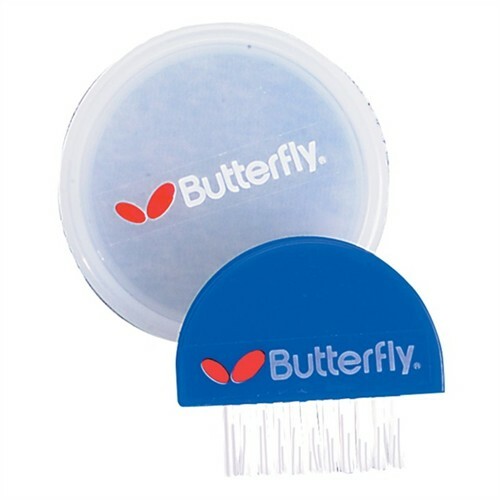 This is a cleaning tool produced by Butterfly. It featured soft bristle brush that can help to clean all the pip rubber sheets. 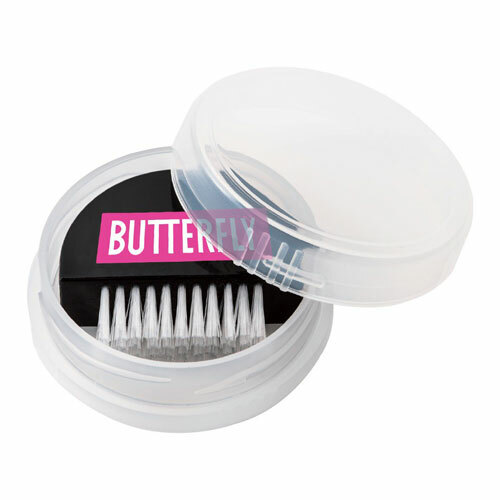 You can make use of this Butterfly pips brush to clean all your pips out rubber sheets. This is the cleaning sponge produced by Yasaka. You can see from the picture that the sponge is wrapped in protective plastic. All table tennis players know that heat and dust are the two biggest enemies for rubber. So to give good protection for your table tennis rubber, you need to use a quality cleaning sponge to wipe your rubber frequently to make sure that it always stays out of dust. 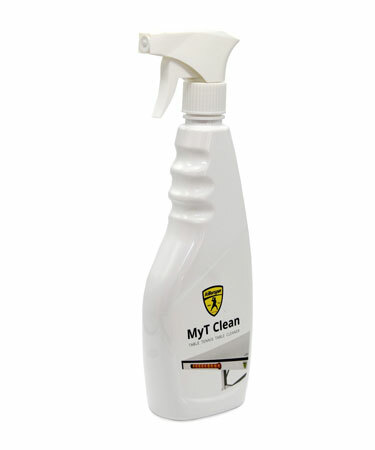 This Killerspin MyT Clean is used to clean your table tennis table. We all know that table tennis table is the most expensive equipment among all the gears and equipment that we need to play table tennis. Thus, we need to take good care of our table so that we can play with it for many years. This cleaner is produced with special formula from Killerspin. It consists of non-ionic and anionic surfactants. 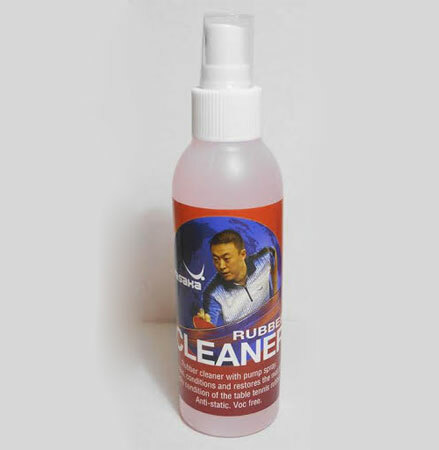 The cleaner is infused with the lemon scent so you will have a fresh and clean smell when you spray it on the table. 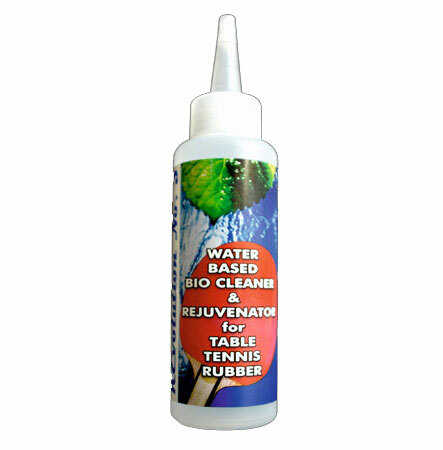 This cleaner can effectively wipe off the oil, dust, and dirt on your racket. 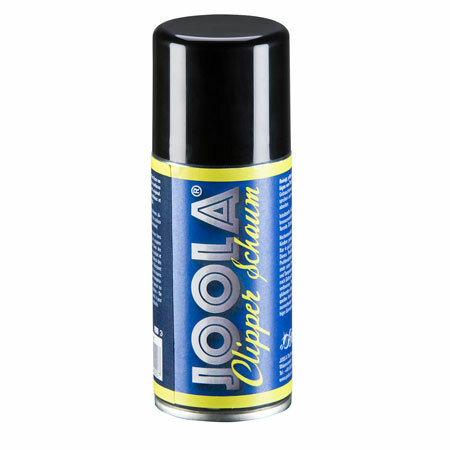 The drawback of getting this JOOLA Clipper Foam Rubber Cleaner is that it won’t come with a sponge. You will need to buy the sponge separately. This cleaner is easy to apply. It can spreads evenly with the applicator. Besides cleaning, it also helps in maintaining the tackiness of the table tennis rubber. This is a cleaner that is designed with a pump spray. It can effectively wipe off the dust, dirt, and grease from the rubber sheet. It can help to restore the tacky condition of the rubber. The cleaner is VOC-free and is anti-static. 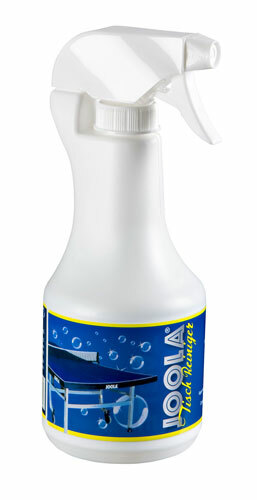 This is a table tennis table cleaner produced by Joola. It can gently clean any table tennis table without damage to the table. What you need to do is just use a dry towel, spray the cleaner on the table and use the towel to wipe. By having your table clean, you will be able to play with the table for many years and it can always let you play in good shape. If you are looking to buy some of the above-mentioned table tennis cleaning kits, you can go to Megaspin by following this link to check the price and order from there.